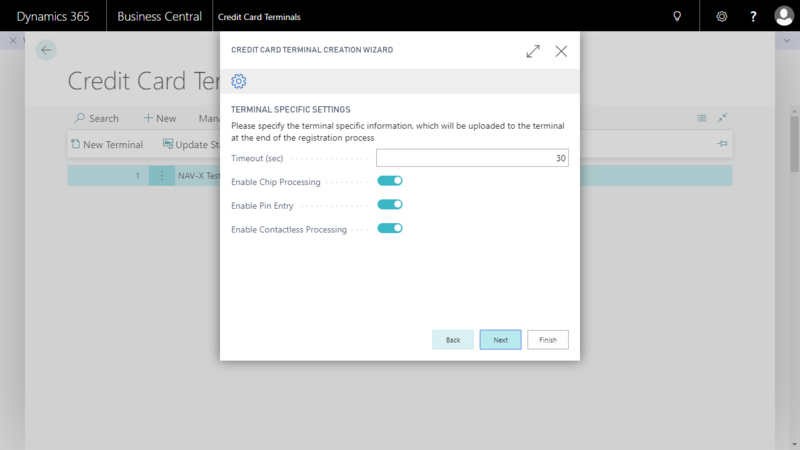 if you want to use credit card terminals to provide your customers with the ability to swipe cards, you need to set up the connection between the physical terminals and your Microsoft Dynamics 365 Business Central environment. 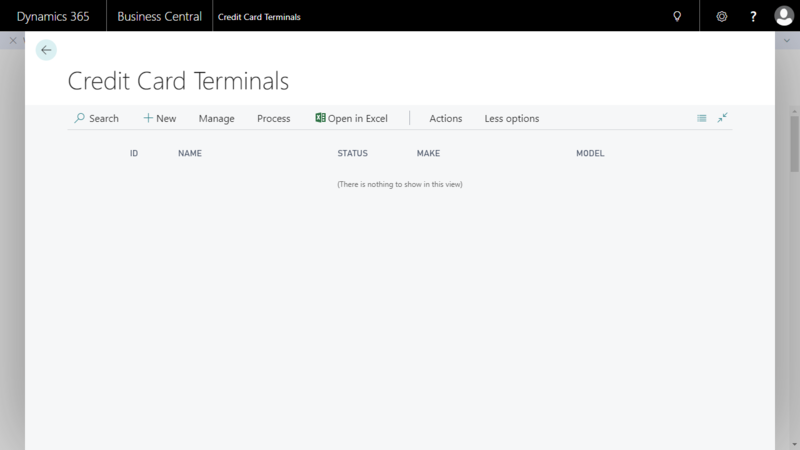 The following instructions will walk you through the process of configuring those terminals. To find a list of supported terminals, please look here. Before you can connect one or many terminals, you have to configure source keys for a particular merchant. The API keys and Pins can be requested from the gateway or can also be created directly within the gateway portal. If you require more information how to create or request more source keys, please contact the gateway support. A source key is defining the source of transactions. It can be used to identify where a transaction was captured, for instance, you can have multiple source keys based on different locations. To enter a new source key, please open the Merchant Account List. You can do this by entering “Merchant Account” in the search box. 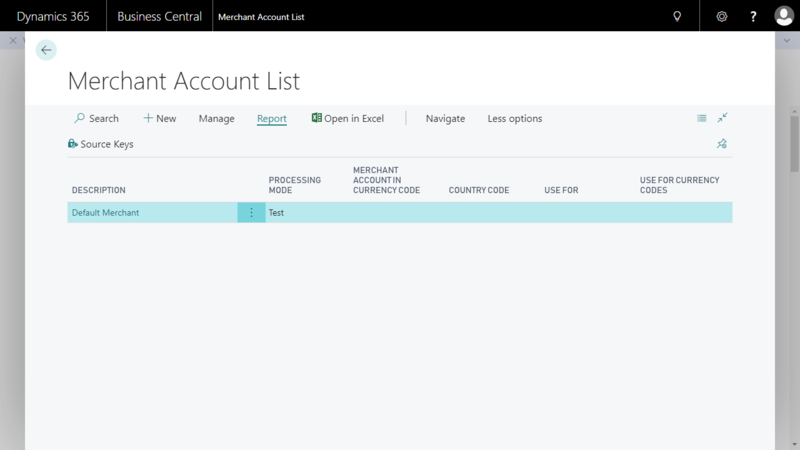 Please select the merchant account that you want to enter source keys for and then select the action “Source Keys” to display the list of source keys. You have to create at least one source key to connect terminals. The name can be any description of the source key. The API key can be requested from gateway support or can be created in the gateway portal. Please enter the pin required for this specific API key. 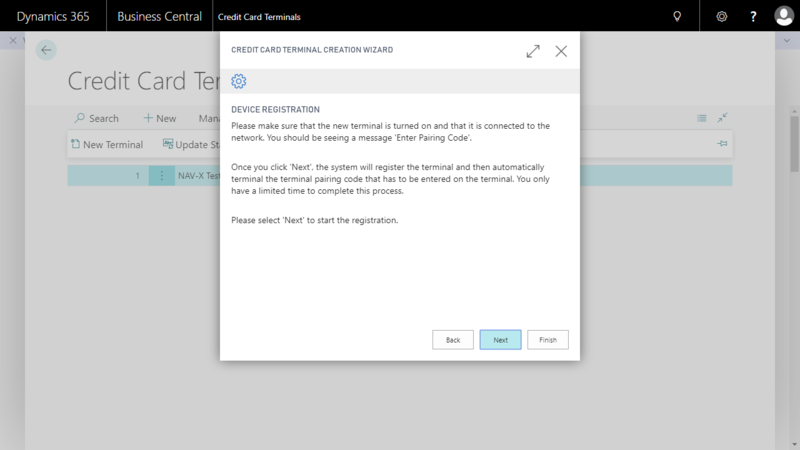 Please go to the “Credit Card Terminals” to register a new terminal. You can do that by entering “Credit Card Terminals” in the search box. You will see a list of all registered terminals. 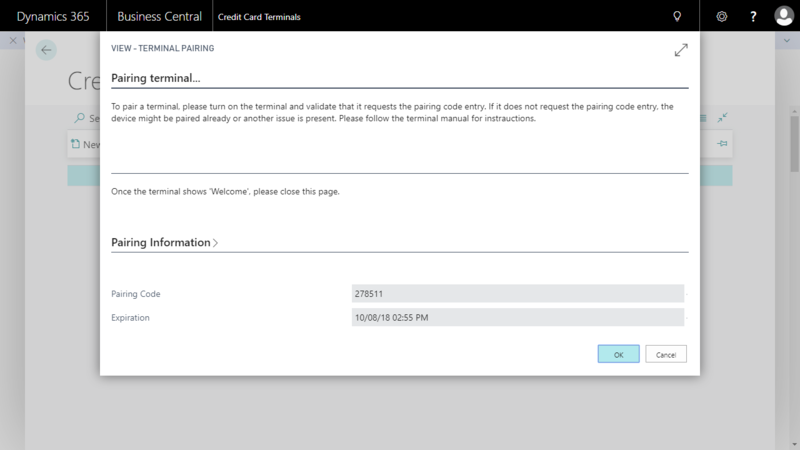 You can either create a new terminal by clicking the “New” button, which will open the Credit Card Terminal page and you can enter the information and register the terminal there. You can find more details about the Credit Card Terminal page here. It is recommended to use the action “New Terminal” to register a new terminal, since this will open a wizard that walks you through the required information step by step. When you select “New Terminal”, the “New Terminal Wizard” opens. By clicking “Next” you will go to the next page of the wizard. On this page, you can assign a name to the new terminal. Based on the terminal type, the name of the terminal will show at the top of the screen. You can also define the default type of transaction that should be executed by this terminal. If you use the terminal for credit card purchases and have customers pick up their goods or services at that time, you should set the “Default Transaction” to “Sale”. If you want to just hold a certain amount on the credit card until you then later charge the card, you should choose “Authorization”. 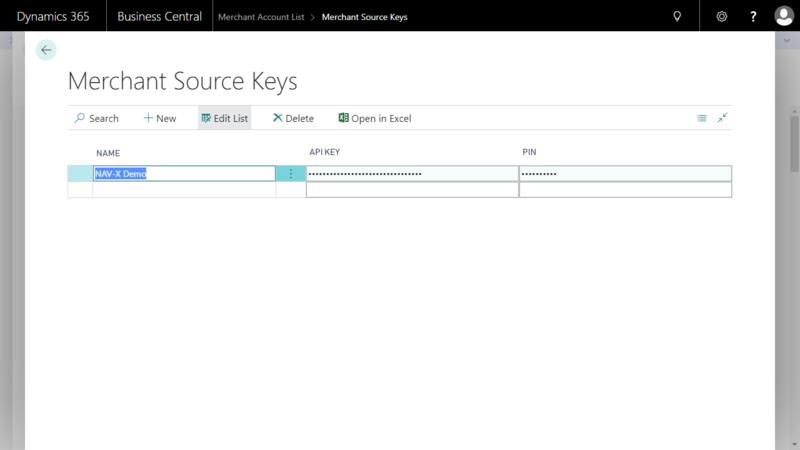 You then have to define the merchant and the source key that the terminal will be registered for. Once this information is defined, please click on “Next” to advance to the next page. The next page contains settings to define the capabilities of the terminal. Defines the time out that is used when the terminal tries to communicate with the gateway. If the terminal does not receive a response within the specified time, the transaction will be cancelled. The default is 30 seconds. Enables the acceptance of cards with chips. This should be enabled as long as the terminal is capable to read chips. It is recommended to leave the default (set to “Yes”) to provide the most security possible when processing credit cards. Enables the entry of Personal Identification Numbers (Pin) for debit cards and other cards where Pins are required. This should be left to the default (set to “Yes”) to allow the most secure way of processing cards. When advancing to the next page, you will start the actual registration of the terminal. The page describes the steps to perform, you will have to also review your terminal’s manual to determine the proper steps to pair the terminal. Please make sure that the terminal is connected to the internet and shows “Enter Pairing Code” or a similar statement on the screen. 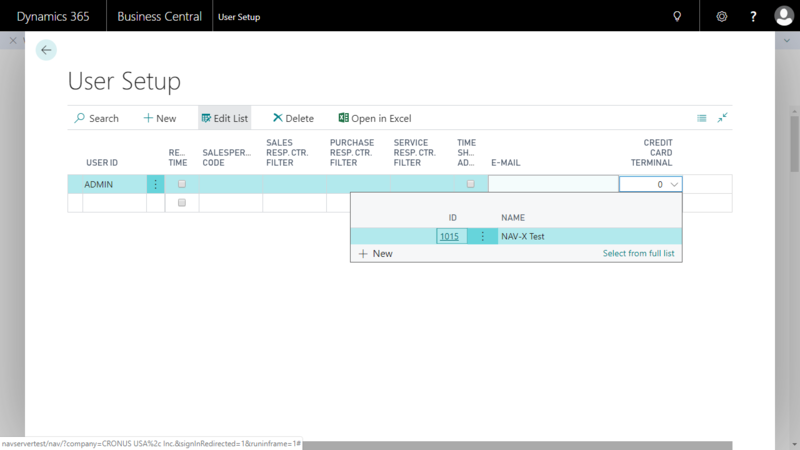 The system will send a request to the gateway and retrieves the pairing code. This code will be displayed on the next page. Please note that there is an expiration date on the pairing code, so please make sure that you enter the code before it expires. Please follow the instructions in the terminal’s manual. Once the pairing process shows as completed on your terminal, please close the page. The system will check the status of the terminal and a confirmation message will be shown and the wizard advances automatically to the last page. You can now close the wizard by clicking on “Finish”. You have successfully registered a terminal. 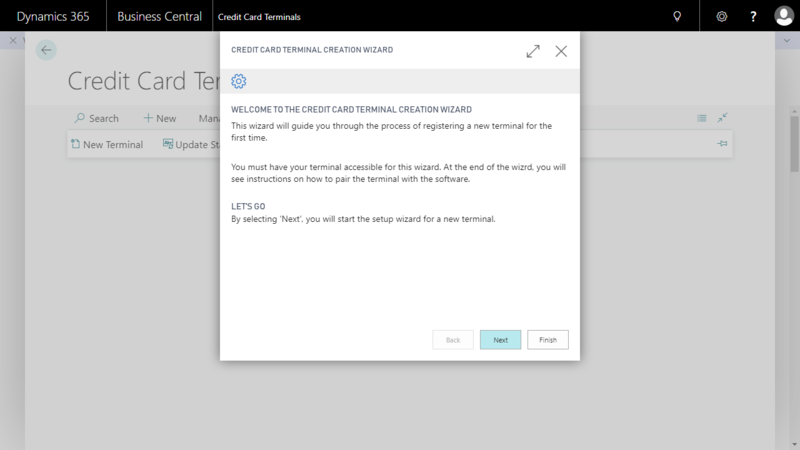 You now have to define a terminal as a default terminal for the users that will use terminals to charge cards. Please navigate to the “User Setup” page by entering “User Setup” into the search page. Please select the credit card terminal in the field “Credit Card Terminal”. You now have completed all necessary setups and can start using your terminal to charge cards.